The Captain of Tamil cinema, Vijayakanth celebrates his birthday today. The actor turned politician turns 65 today on August 25th. While his birthday was celebrated in a simple manner, a sweet surprise awaited Vijayakanth from his son Shanmuga Pandian. 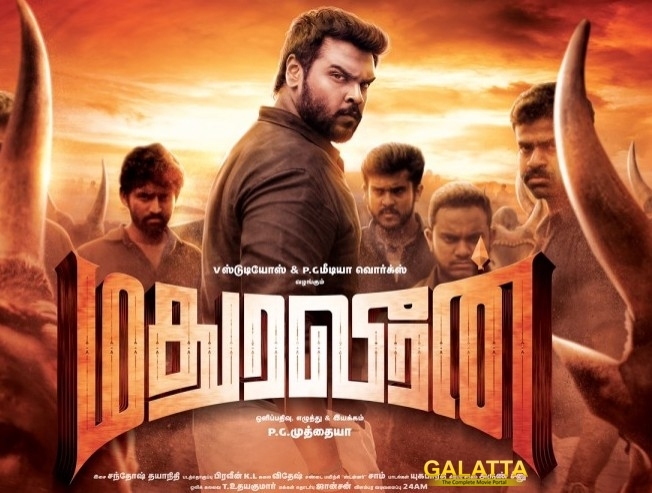 The new movie titled Madura Veeran directed by PG Muthaiah has already been sold off to a decent price. Distribution rights of a movie getting sold even before production is complete is great news for the team. Along with Shanmuga Pandian, the film has notable actors like Vela Ramamoorthy, Mime Gopi and others. Tamil Nadu theatrical rights was purchased by Sri SaravaBhava Films. >>Sarkar: Vijay In Vijayakanth's Footsteps?